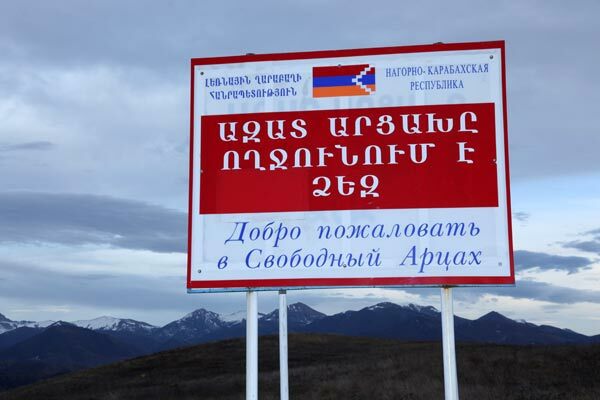 Amid active speculations about a possible Russian plan for a Nagorno-Karabakh conflict settlement, sentiments against any territorial concessions to Azerbaijan have been on the rise in Armenia these days. The Russian media have suggested that Russian Foreign Minister Sergey Lavrov, who starts a two-day visit to Yerevan tonight, will be bringing with him some sort of a proposal on how to resolve the decades-long Armenian-Azerbaijani conflict that, in particular, will be based on the Kazan plan already discussed by the sides in 2011. The plan based on the well-known Madrid principles (Armenian withdrawal from some territories around Nagorno-Karabakh proper, return of refugees, deployment of peacekeepers, a future referendum on the area’s status), in particular, implied the deployment of particularly Russian or Russian-led peacekeepers. Speculations about such a possibility intensified after the four-day hostilities in the Nagorno-Karabakh conflict zone that left scores killed and wounded on both sides. Armenia’s first president Levon Ter-Petrosyan, who was effectively ousted from power in 1998 over his advocacy of a “territories in exchange for peace” position then discarded by many as defeatist, has also become active in recent days. Today Ter-Petrosyan is the leader of the main opposition Armenian National Congress and his supporters consider him the “victorious president” given that ex-officio he was supreme commander-in-chief during the 1992-1994 conflict with Azerbaijan that ended in Armenians’ gaining territories and consolidating their presence in the Nagorno-Karabakh region. Ter-Petrosyan reportedly initiated a meeting with Armenian President Serzh Sargsyan on April 9 to discuss the Karabakh crisis and is expected to meet with Nagorno-Karabakh President Bako Sahakyan soon. Deputy Director of the Yerevan-based Caucasus Institute Sergey Minasyan says that it is logical that the man who was involved in all processes in the 1990s should have reacted to the latest crisis. “I think that the behavior of Levon Ter-Petrosyan and his supporters can have its reflection in the upcoming [parliamentary] elections, as it has been positively taken by a majority of Armenian citizens,” Minasyan told ArmeniaNow. Armen Martirosyan, deputy head of the opposition Heritage party, not diminishing the role of presidents and military leaders, believes, however, that at the end of the day it is the people that will make decisions. “We have liberated our homeland at the cost of blood and no one has the right to sell it. We have repeatedly expressed our position and have done it clearly: we are against the idea of returning territories, they belong to Artsakh and are Armenian lands; moreover, we have liberated only part of our lands. We are also against the deployment of peacekeeping forces since there can be no better peacekeeper than an Armenian soldier,” Martirosyan told ArmeniaNow. Hayk Khanumyan, the leader of Nagorno-Karabakh’s opposition National Rebirth party, also excludes territorial concession to Azerbaijan. “There are again people who are trying to speak in favor of resolving the issue by means of territorial concessions. The problem is that by ceding territory we won’t resolve any problems, ceding territory will only weaken Artsakh’s position and will expose the people of Artsakh to physical destruction,” Khanumyan wrote in a Facebook post.